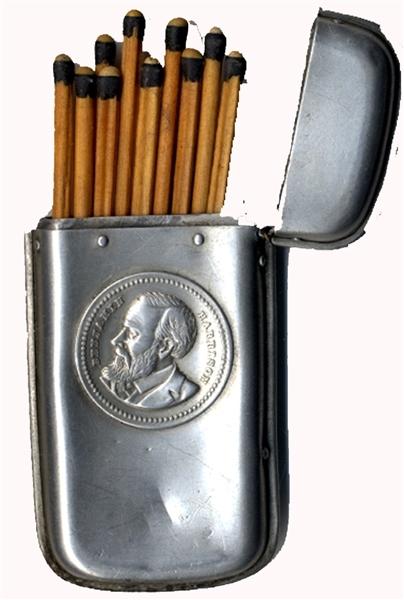 Benjamin Harrison campaign match holder, c. 1892. Measures 3" tall, and has an embossed profile image of Harrison on one side. Made of tin, with the top still opening and closing. There are even a few 19th Century wooden matches inside. In overall fine condition, having just a few light impressions from use. Not the typical Harrison match holder that appears on the market from time to time, and the only example we know of extant.